As always, Inbound is offering a variety of retreat options to meet the diverse interests of our incoming first-year students. Inbound provides an excellent opportunity to meet your classmates while experiencing the campus community and surrounding areas through outdoor exploration, artistic expression, spiritual retreats, service learning, or social empowerment. Each retreat will have approximately 10 first-year participants. Each retreat is led by two upperclassmen student leaders who strive to reduce the common fears encountered by many college-bound students. 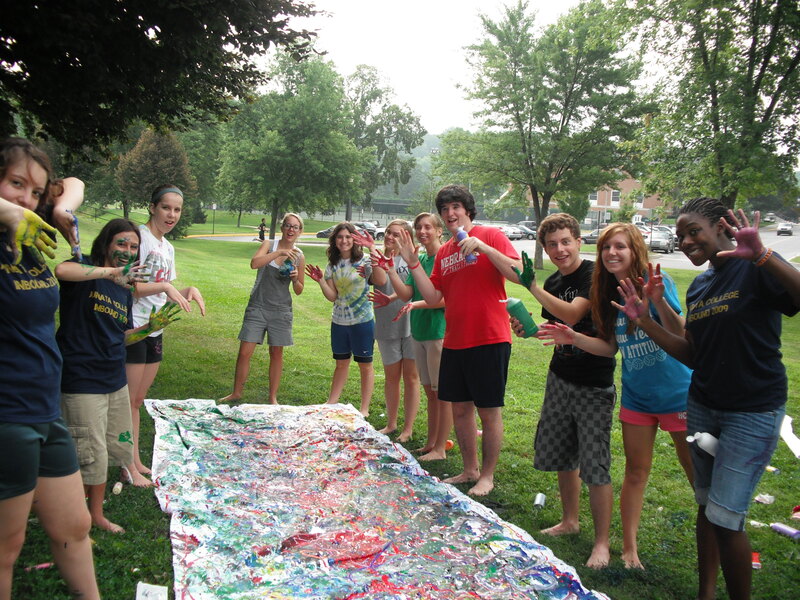 These Peer Leaders serve as a resource to guide students into everyday life at Juniata College. The Peer Leaders selected for Inbound are well trained and play an active role in the Juniata College community. During the registration process, you will be asked to sign-up for five of our exciting retreats themes. Retreat assignment will be based on preferences, rather than first-come, first-serve, to ensure participants are in a group that matches their interests. Once we have received all of the applications, we will work hard to place everyone in one of their top 3 choices, but cannot make any guarantees. The Around the World retreat welcomes all participants with a burning desire to understand and experience different cultures, foods, and places! This retreat aims to celebrate diversity by learning about various cultures and focusing on all the benefits worldwide travel has to offer. This year students will be touring the Cathedral of Learning’s Nationality Rooms in Pittsburgh and exploring all that the area has to offer! Other activities include International dinners with Staff and/or Faculty Ambassadors, learning about Study Abroad, and more! This retreat is an excellent introduction to our language departments or to any international opportunities incoming students may be considering! Fostering love for personal expression and all things creative, the Arts retreat exposes participants to a variety of visual arts. Students will be challenged through self-exploration, creativity, and expression. The Arts retreats will travel to State College to visit area museums and explore what our neighboring town has to offer. The Big Brothers Big Sisters (BBBS) retreat teaches students the importance of civic responsibility and leadership through working with at-risk youth. Each student with be one-on-one and mentoring a child to overcome the many challenges he or she may face while growing up. Students converse about child development, effects of socioeconomic status on our community, and the mission of BBBS of America. Possible activities students may do with his/her “littles” includes: playing games, creating crafts, going to an amusement park, and just getting to know one another! This is an excellent introduction to the BBBS Club on campus! Through participation in a variety of service projects within Huntingdon and surrounding counties, this Community Service retreat will allow participants to learn more about themselves, their peers, and their new neighbors. Participants will gain an understanding of leadership and civic responsibility while experiencing Huntingdon and improving the community. Students will broaden their awareness of environmental issues, hunger, poverty, and other issues of community concern. The Environmental Community Service Retreat with participare in a variety of service projects within Huntingdon and surrounding counties. 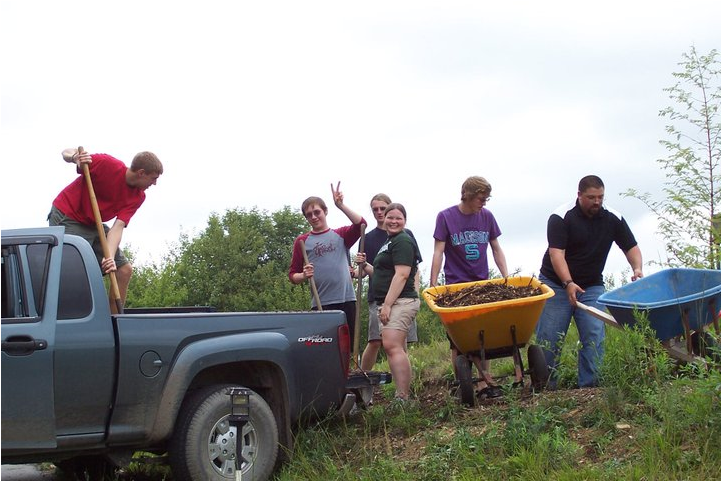 This retreat integrates aspects of agriculture, the environment, and science through community service and other activities. Students will be helping Keep PA Beautiful with the Juniata River clean up this year. 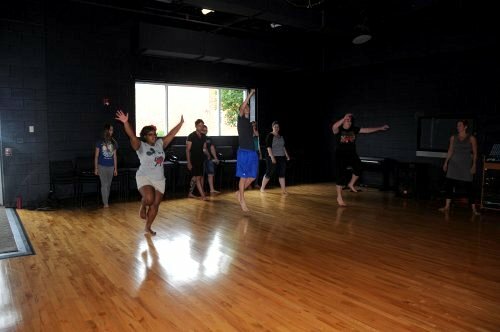 The Dance retreat hopes to capture students interested in all things dance! The retreat is open to students with varying degrees of experience and will tap into a range of styles and genres. Students will test their physical strength, explore other areas of health and wellness, and meet other participants with a love of dance. Any skill level is welcome, only a positive attitude is required! Students will have the chance to travel to State College for a class (maybe Zumba or Belly Dancing!) while also discovering the dance opportunities right here in Huntingdon. This retreat is an excellent introduction to the Juniata Dance Team or Step Team, although participation is not required after Inbound. Do you like playing multi-player video games with new friends? Do you like trying out new board games? Think you can get out of an escape room faster than your friends? If you answered yes to any of these questions, this retreat is for you! The Ministry of Gaming has a unique collection of multi-player games and board games that you will enjoy with your new friends in the Gaming Retreat. The group will also take a trip to an escape room to test their skills against the clock! 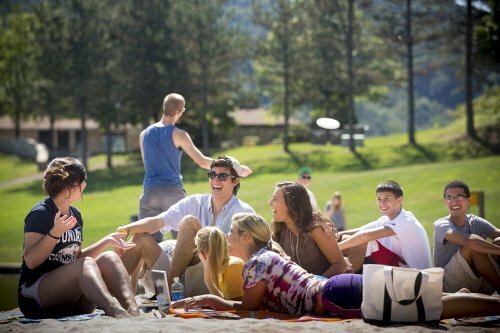 The Leadership retreat will allow for incoming students to learn about themselves and potential roles in the Juniata Community. Students will have a blast through leadership and group activities. Clubs and Societies on campus will be introduced to the incoming students and will learn how to get involved such as becoming president of a club! This retreat will focus on reminding students to take time for themselves - their Mind, Body, and Spirit. 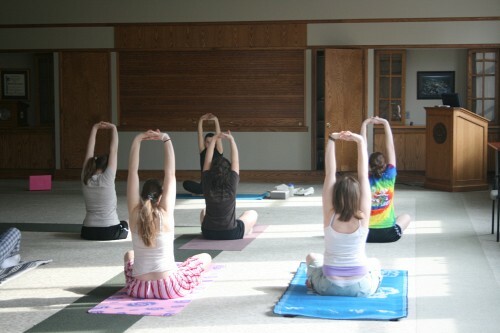 Students can expect to participate in activities such as yoga, meditation, hiking, and other activities and discussions involving healthy living - physically, mentally and spiritually. Grab your helmets! This retreat will focus on Rails to Trails, mountain biking, and more cycling fun! Your group will be challenged to push themselves physically and support each other during miles of biking. You will learn about cycling safety and about trails local to Juniata. Additionally, you will have the opportunity to complete a service project with the Raystown Mountain Bike Association. 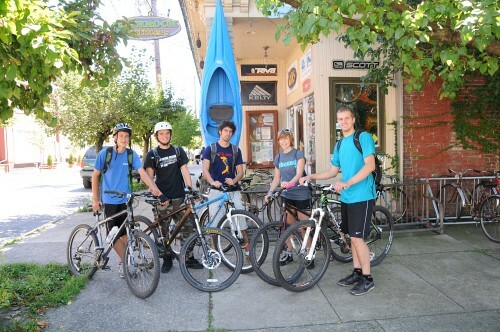 Bikes and helmets will be provided by Rothrock Outfitters (our local outdoor adventure center). You are welcome to bring your own mountain bike if you wish. Get ready to ride! This retreat is a great way to learn more about the Bike JC club on campus. If you love the outdoors, cooking over a campfire, and sleeping under the stars (or in a tent) this is the retreat for you. Students can expect to kayak to a remote camping location on Raystown Lake accessible only by boat, hike trails in central PA, and learn to love the outdoors activities offered by Juniata College and it’s surroundings. This challenging retreat will help build group skills and teamwork and requires a positive attitude. The camping retreat is a great introduction to the Laughing Bush outdoors club on campus. Explore Central Pennsylvania on foot with others who love the outdoors! Participants will cover approximately 2 to 7 miles a day on rocky, mountainous terrain in nearby state parks. Hiking experience is not necessary. A positive attitude and good mental and physical shape are musts for these adventurous retreats! 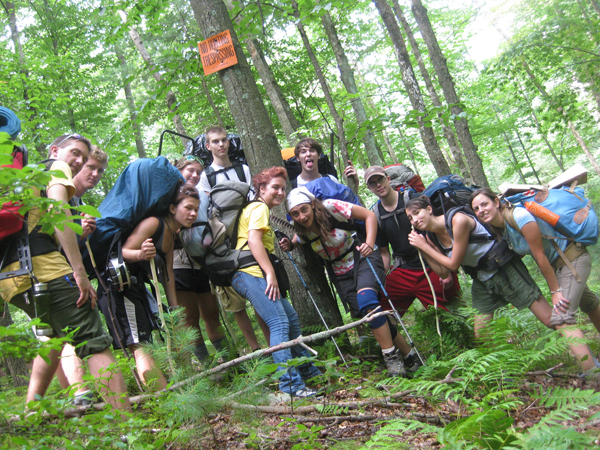 The hiking retreat is a great opportunity if you’re interested in the Laughing Bush outdoors club on campus. Are you a fan of the outdoors? Like adventure? See a wall of rocks and think, “I could climb that?” Then this retreat is for you. This group will start off going to an indoor gym to learn the basics of rock climbing and get a feel for it before setting off to local rock formations and trying your hand at the real thing. No experience necessary, and all equipment provided to have a safe fun adventure! 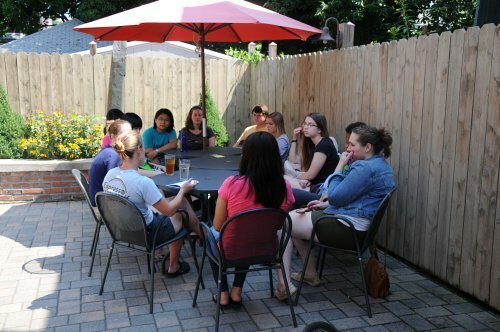 Juniata's Plexus retreat is designed to allow new students with concerns about multiculturalism to meet other new and returning students and offer their friendship, support, and guidance. Where is the closest Mosque/Temple/Synagogue/Church? Where can I find a support community for my religion/ethnicity/sexual orientation/etc.? Click here to learn more about Plexus and the Office of Equity, Diversity, and Inclusion. This retreat is perfect for incoming students interested in wildlife conservation and environmental science, but all POEs are welcome! 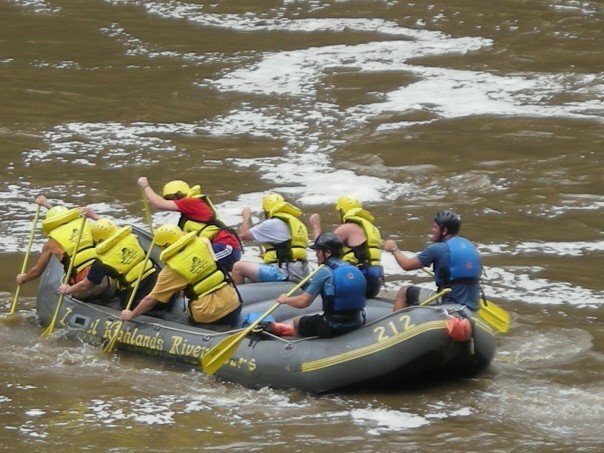 Our activities will range from a float trip on the Juniata to capture and collect data on turtles, to bird banding, to camera trapping, and more! For this adventure-filled retreat, we will be splitting our time between campus and the Raystown Field Station (the land of great food and the great outdoors), so you will get to experience both beautiful places. This retreat is also a great way to get learn more about The Juniata College Chapter of the Wildlife Society, and meet some of the members!